With Ooma Office’s simple DIY setup, many customers are up and running in minutes. 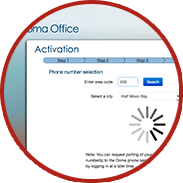 With office phones and mobile phones, Ooma Office makes setup quick and easy. Activate your account online and select your number. 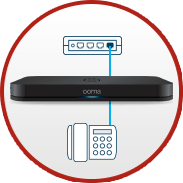 Connect the Ooma Office Base Station to your high-speed internet and plug in your analog phone. 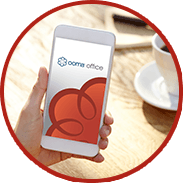 Download the Ooma Office mobile app.